Since its earliest years—educating children of immigrants and offering foreign languages as part of a classical education—the University of Minnesota has been an international institution. The University's first "non-native" students, from Canada and Denmark, were recorded in 1874. The first student on record from China attended in 1914. The Pan brothers of China became well-known on campus as members of early U of M soccer teams. 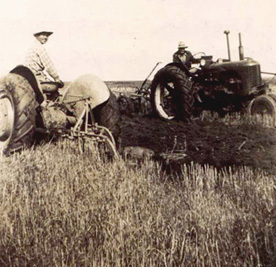 Minnesota's strength in agricultural research built and sustained its international reputation, leading to development in other fields. The work of faculty members such as E. C. Stakman in plant pathology during the early decades of the 20th century—fighting cereal diseases that threatened the state's economy—won international acclaim and drew scholars from around the world. The work of the Mayo brothers in medicine, early associated with the University of Minnesota, also helped to establish the University as a world-class institution. In the College of Liberal Arts, the Harold Scott Quigley Center of International Studies was first established in the early 1920s. The University's 1914 soccer team was led in part by the Pan brothers—the first students from China—whose clever passing and dribbling skills surpassed those of most competitors, with the exception of the Minneapolis Thistles, a team of Scots and English. One of 20 organized sports, soccer struggled for recognition and funding. Football eventually eclipsed soccer, which was given up during World War I. Photo and text courtesy of University Archives. Small-grain cereals were an important component of Minnesota's economy from the 1870s. In the early 1900s, epidemics of wheat stem rust caused severe economic and social crisis in Minnesota.In 1915, University of Minnesota researcher E. C. Stakman discovered different strengths of the rust fungus and then played a key role in establishing a cereal rust laboratory at the University. Success in fighting cereal rust through resistance breeding was recognized worldwide and became legendary. 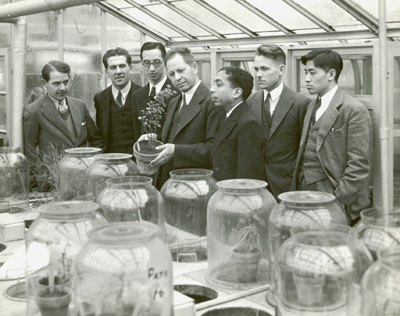 The work in plant pathology of Stakman, shown here around 1930, drew scholars from around the world. During and after World War II, the number of international students on campus rose dramatically. Along with other Big Ten public, land-grant institutions, the University of Minnesota quickly became a leader in providing higher education to students from around the world. The Minnesota Agricultural Student Trainee (MAST) program was established in 1948-49 to provide students from abroad with University training and on-farm work experience. By 1950, Graduate School registration showed 560 international students from 59 countries; by 1960 the number would grow to over 1,000. The University's first international student adviser, Forrest Moore, was assigned in 1943 as part of counseling services in Eddy Hall. The office eventually relocated to East River Road and became a separate part of the Office of Student Affairs. Dr. Moore and a young graduate assistant, Josef Mestenhauser, an emigre from Czechoslovakia, promoted international student leadership on campus. They would become national leaders in developing international student programs and services, helping to found and develop the National Association for Foreign Student Affairs (NAFSA) in 1947 and the Minnesota International Center (MIC) in 1953. Dr. Moore played a major role in developing long-term alumni relations with graduates who returned to their home countries or embarked on multinational careers. Moore and Mestenhauser modeled the importance of fostering and applying research in student development and cross-cultural programs. Their work helped to make Minnesota a leader in intercultural research, communications, counseling, and training. International students and scholars found opportunities to experience Minnesota life through invitations by faculty members, MIC programs such as host family stays, and "American life" seminars offered in the homes of history professors Clarke Chambers and Harold Deutsch. The World Affairs Center was founded in 1950 as part of extension education to serve as a forum for all the principal organizations in Minnesota concerned with foreign policy, with leadership by William Rogers and Barbara Stuhler. The new wave of global awareness and commitment to public service also created an impetus for Minnesota students to go abroad. 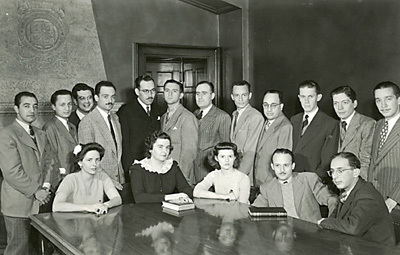 University students founded and managed SPAN, the Student Project for Amity Among Nations, the oldest independent study abroad program in Minnesota, in 1947. SPAN involved faculty members and students from the University and other Minnesota colleges, who traveled in small groups to various countries for summer research. "It was unique in that it required students who wished to study abroad to spend some time—often two years or more—studying the language, history, and culture of the area they hoped to visit," according to Theofanis Stavrou, professor of history and faculty director for SPAN from 1964. "While abroad, they would undertake field research projects." In 1952, a student from Germany helped to found the University's first reciprocal student exchange, with the Free University of Berlin. As the Berlin Wall was built and the Iron Curtain between East and West became a reality, Minnesota students were able to experience life in divided Europe through this exchange. The program grew to eventually include exchanges on five continents. Many land-grant universities, including Minnesota, broadened their focus after World War II to include international exchanges and outreach. "More than any other group of American universities, the land-grant institutions have been present-day pioneers on the international frontier," said University president James Morrill in a speech shortly after his retirement, noting the large number of professors who had served abroad. University faculty had led the way in developing knowledge and approaches to address issues across national boundaries. During the 1950s, the University of Minnesota realized its potential to use this expertise to answer the call from nations building or rebuilding their agricultural, environmental, medical, and educational infrastructures. A project in Korea (1954-62) to rebuild Seoul National University was headed by University alumnus and former Minnesota governor Harold Stassen. It involved the faculties of agriculture, engineering, veterinary medicine, nursing, forestry, and public administration. Forestry professor Arthur Schneider served as the on-site leader in Korea; education professor Tracy Taylor served as administrative head of the team. The project had many facets: forestry professor Dayton Kirkham, for example, earned the nickname Dr. Acacia for his tree-planting work in Korea. More than 90 faculty members from Seoul studied at Minnesota. Nationality groups became an important part of campus life. While the University's first students from outside the United States were recorded in 1874, their number on campus rose dramatically during and after World War II. 1945: Chinese scholar Zeng Dechao (left) at the Morris experiment station. Photo courtesy China Center. 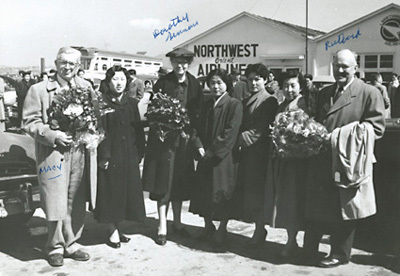 Minnesota faculty members arriving in Seoul, Korea, to assist with postwar rebuilding, 1956. Minnesota's faculties of agriculture, engineering, veterinary medicine, nursing, forestry, and public administration played a key role in Korea's post-war rebuilding period. International and area studies grew and reached a high point of federal support in the 1960s, such as the National Defense Education Act. In 1963 the Office of International Programs (OIP) was established with support from the Ford Foundation to sponsor small grants for research, faculty seminars, and selected faculty positions. "This was the heyday of U.S. involvement in international affairs and development and education," according to history professor William Wright, a faculty director of OIP. "The foundations were...putting money in universities to encourage international programs. It was high, wide, and handsome for a few years." The same year, the Office of International Agricultural Programs (OIAP) was established in the Institute of Agriculture, Forestry, and Home Economics to help the University respond to increased demand for technical assistance abroad. Over the next 30 years OIAP would link University faculty members from agriculture, natural resources, and veterinary medicine to projects in more than 25 countries. Major international projects during the period involving faculty across disciplines and colleges included Chile (1964-70), Tunisia (1967-76), and Morocco (1970-98). Through the Morocco project alone, more than 130 Moroccans would earn doctoral degrees and more than 200 would earn master's degrees, and the Institute Agronomique et Veterinaire Hassan II in Rabat would become one of the most respected agricultural universities in Africa. Student reciprocal exchanges developed during the 1960s and '70s with universities in India, Nigeria, Uruguay, Norway, Hungary, Malaysia, Tanzania, and Tunisia. In the liberal arts, Minnesota boasted expertise in traditional disciplines including economics, geography, history, and political science. Interdisciplinary world-area studies and foreign languages also developed, including new centers for Scandinavian, Russian, South Asian, and Latin American studies. An international relations major was established to respond to student interest in global issues. An all-university council and committees on Asia, Latin America, Western Europe, Russia and Eastern Europe, economic and social development, and international relations guided the University's international programs. Many of the same forces that created and fostered the Peace Corps caused students to view their college years as an ideal opportunity to travel, study, and work abroad. At the University of Minnesota, students founded the International Study & Travel Center (ISTC) in 1968 with student fees support. Minnesota also proved to be a leader in producing Peace Corps volunteers. By the end of the decade, the Twin Cities would become a major location for resettlement of refugees of the Vietnam War. Local professionals in a variety of fields, from medicine to social work and education, needed information to work effectively with this new population, and the University's Center for Urban and Regional Affairs (CURA) became a clearinghouse for such information, which existed largely in the form of unpublished manuscripts and working papers. The Southeast Asian Refugee Studies (SARS) project became a national resource in 1979. 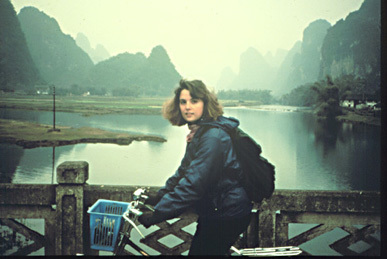 During the 1970s, study abroad programs developed further. The Global Campus program, initially part of extension education, developed the administrative expertise to assist University faculty to lead programs abroad. It soon became a major provider of study abroad opportunities for undergraduates, drawing students from across the nation as well as the University system. The foreign studies minor, established in the College of Liberal Arts in 1975, allowed study abroad to be integrated more fully into a student's academic program. In 1979, the University seized the opportunity of normalized U.S. diplomatic relations with the People's Republic of China, severed for almost 30 years. A delegation led by Wenda Moore, chair of the Board of Regents, visited several cities and reestablished connections with alumni, and sought opportunities for scholarly exchanges. The depth of alumni feeling and loyalty to the University was demonstrated by the large number that traveled great distances, some by bicycle, to meet with the delegation. Back in Minnesota, a China Center was established to coordinate exchange with the People's Republic of China, promote study and research in China, and to serve the growing number of incoming scholars, which would became the largest Chinese population on any U.S. campus. The University's international student body had always reflected global changes, current events, and U.S. diplomatic relations. War, Cold War, or strained ties often meant dips in enrollment from specific countries, for example; reestablished ties with China meant a surge in demand—first from scholars, followed within a few years by students. By the mid 1970s, international enrollment on the Twin Cities campus exceeded 2,000 students, mostly enrolled in graduate programs. Around the world, Minnesota's reputation had spread from one generation of scholars to the next, keeping the University at the forefront of international enrollments with virtually no institutional effort toward recruitment. 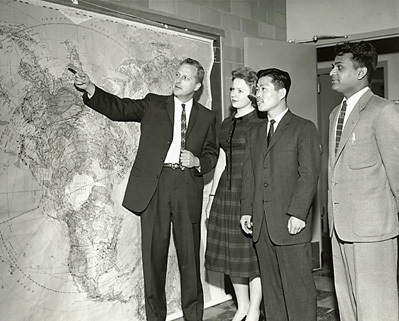 Geography, founded as a department in 1925, was one of Minnesota's fields that rose to prominence and led to establishing the interdisciplinary international relations major. Professor John Borchert, pictured here in 1960, later donated his maps to the founding of a leading map library upon his retirement in 1989. Photo courtesy University Archives. 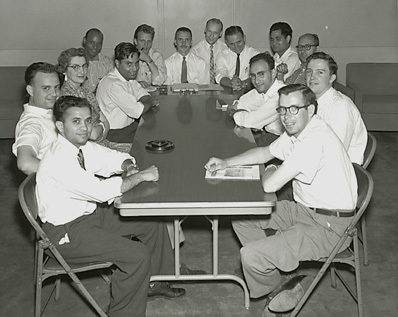 Dr. Forrest Moore and a young graduate assistant, Josef Mestenhauser (far end of the table, sixth and seventh from right), promoted international student leadership on campus. They would become national leaders in developing international student programs and services. Moore was the University's first international student adviser, appointed in 1943. Beloved by students and staff, Moore later endowed a University fund to support international students. Mestenhauser, a law student in Prague immediately after World War II, was arrested for student activism against the Communist government. He escaped from prison and fled Prague without the law degree he had earned, first as a political refugee to the U.K., and from there to the University of Washington, and finally to Minnesota, where he earned a doctorate in political science. In Prague he was tried in absentia and convicted, and thus unable to return to his home country until the end of the Cold War. After Czechoslovakia's "velvet revolution," President Vaclav Havel invited surviving Czech and Slovak alumni around the world to return to Charles University to receive the degrees they had earned. Mestenhauser made the trip in 1991, an event memorialized by Regents Professor Patricia Hampl in the foreward to the new edition of her groundbreaking memoir, A Romantic Education. 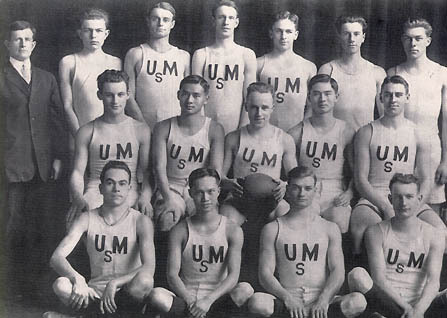 Photo courtesy University Archives. 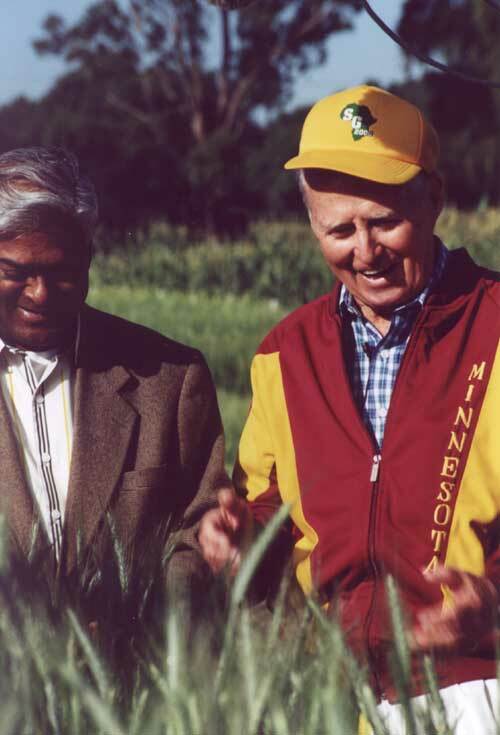 Alumnus Norman Borlaug, Ph.D. '42, won the Nobel Peace Prize in 1970 for contributions to the Green Revolution. He continues to work tirelessly to end world hunger. He is shown here in Mexico in 2000. Photo courtesy General College Development Office. Ahmed Zahour was the first of more than 100 Moroccans to earn the a Ph.D. through the Minnesota-Morocco project, which reached its highest level of activity in the 1970s. 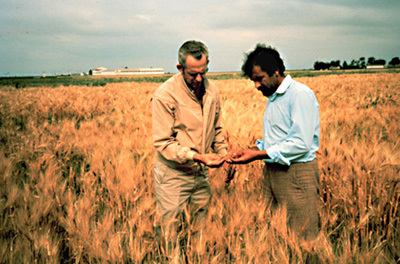 Zahour's adviser was Donald Rasmussen, a world expert in barley. Photo courtesy Office of International Agricultural Programs. 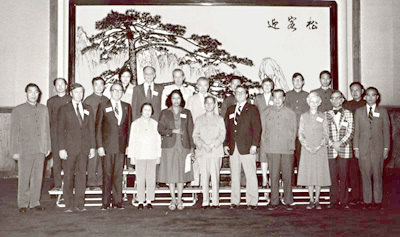 China, 1979: First delegation to China, led by Regents' chair Wenda Moore (center front), opened the way for exchanges of students and scholars. The decade of the '80s opened in crisis: in Iran, the U.S.-supported Shah had been deposed, many citizens called for reinstitution of Islamic leadership, an exiled religious leader had returned, and the U.S. embassy in Teheran had been stormed in November 1979 by students, who held U.S. diplomats as hostages for more than a year. On U.S. campuses, including the University of Minnesota, students staged demonstrations in support of the takeover; others demonstrated against Iran. Anger erupted toward Middle Eastern students regardless of nationality. Because some leaders in the embassy takeover in Teheran were U.S.-educated, suspicion of foreign students and fear of terrorism grew. The U.S. Department of Justice soon instituted regulations on all international students, and required colleges and universities to report on their presence and progress toward their degrees. At Minnesota, new computer capabilities were put to use to reach an accurate census of students, whose numbers had been grossly exaggerated. Despite fear of terrorism, however, students continued to study abroad. Minnesota had become distinct for its number who stayed for more than a quarter or semester, and in non-Western nations. In 1982, an innovative new program allowed students to develop their own internships abroad. Minnesota Studies in International Development (MSID) immediately began to attract top undergraduates from around the country, who served three- to six-month internships in a variety of fields in Ecuador, India, Jamaica, Kenya, Morocco, and Senegal. Major international projects involving faculty across disciplines and colleges during the 1980s included the Caribbean (1980-89) and Rwanda (1987-92). Centralization of the University's international offices began in 1986, beginning with the international student office and the Office of International Programs, renamed the Office of International Education (OIE) and brought together in Nicholson Hall on the East Bank. When President Nils Hasselmo and Regents chair Charles Casey traveled to Thailand and Indonesia in 1990, they were overwhelmed by both the number of University of Minnesota alumni who greeted them in each country, and the intensity of alumni loyalty. President Hasselmo immediately launched an initiative to reach out to current alumni and maintain contact with new graduates around the world. The President traveled again to Asia in 1995 to meet with alumni in Beijing, Seoul, Taipei, and Tokyo. In Korea, he and Regent Hyon Kim presented an honorary degree to Korea's president Kim Young Sam, who had attended the University of Minnesota. During the 1990s the China Center broadened its scope to include Hong Kong, which became part of mainland China in 1999, and Taiwan. In 1995 it published "Building Bridges: University of Minnesota Alumni in China," edited by Professor Chun-Jo Liu, a powerful compilation of letters and photographs from Chinese alumni whose time in Minnesota dated back to the 1920s. The break-up of the Soviet Union in 1991 resulted in the creation of a cluster of newly independent states, and a surge of international enrollment from the entire region. The international student body—exceeding 3,000 in any given year—rapidly became a microcosm of world demographics representing more than 130 countries. Central and Eastern Europe were the focus of the University's major international project involving faculty across disciplines and colleges (1992-99), specifically the Humphrey Institute for Public Affairs and the College of Natural Resources. No event captured the spirit of the decade more than the giant, geodesic globe built on Northrop Mall in 1993. 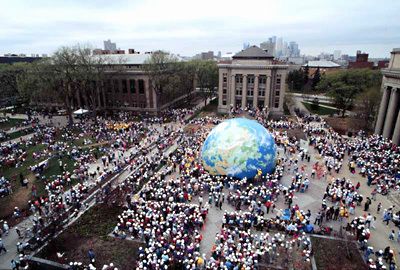 "Building a New World," a project of Institute of Technology alumni, engaged IT students as well as 8,000 school children and their teachers from Minnesota and Wisconsin in a project that required math, science, geography, and many other subjects, and inspired them and countless onlookers who saw the globe in person and through the media. As the rationale of the global marketplace replaced Cold War ideology, a surge in public demand for second-language learning made significant federal funds available. Winning a major federal grant, the University of Minnesota was named one of nine National Language Resource Centers in 1993. The Center for Advanced Research on Language Acquisition (CARLA) soon became a global provider of second-language assessment tools, research, and resources for kindergarten through university teachers. Further centralization of international offices on the Twin Cities campus added study abroad offices, the China Center, and CARLA to the cluster of units in Nicholson Hall. In 2000 they were relocated to the West Bank. Minnesota Studies in International Development (MSID) began to offer student internships in developing countries in 1982. 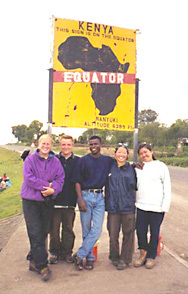 This group in Kenya (1999-2000) is among others to Ecuador, India, and Senegal. Jamaica and Morocco were additional sites in the early years. As the University and China reopened ties, students like Shannon Cannella (University of Nankai, Tianjin, 1987) began to study in China. 1993: Institute of Technology alumni and students and 8,000 Minnesota school children built a geodesic globe on Northrop Plaza. 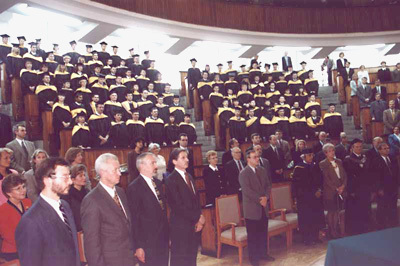 Poland, 1997: Graduating class of the University's first off-shore, joint degree program, offered by the Carlson School of Management and the Warsaw School. Photo courtesy of Carlson School of Management, Office of International Programs. From "The University of Minnesota, 1945-2000," by Stanford Lehmberg and Ann Pflaum, University of Minnesota Press, 2001. Date for the University's first international students was quoted in "U of M International Timeline" in Minnesota, the magazine of the University of Minnesota Alumni Association, March-April 1997. The China Center is the source of most information about China, except for the Pan brothers and early soccer history at the University, which came from University Archives. Archives and staff of the GPS Alliance were the source for all other information. Please send your comments, corrections, or additions to global@umn.edu.